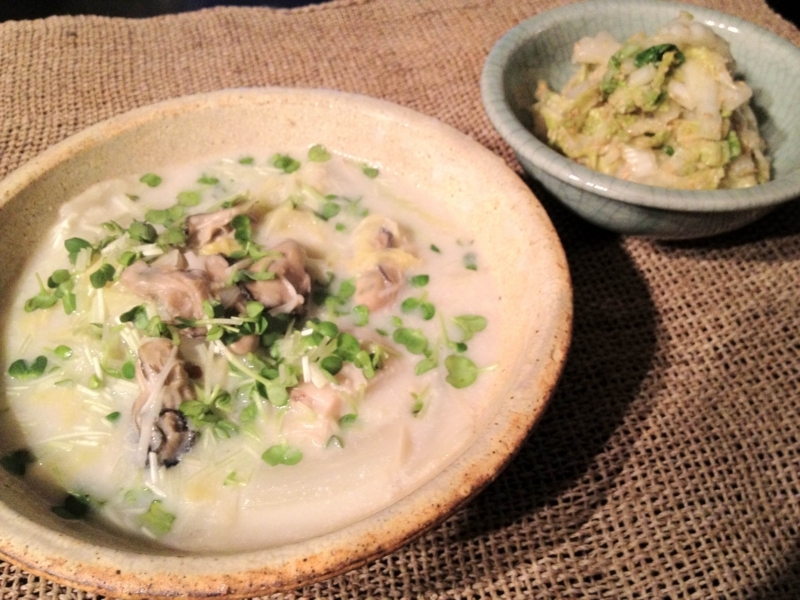 Since I was eager to eat oyster as I was yesterday, I cooked stew with Chinese cabbage and oyster. It's really easy to cook and very tasty. Oyster is one of the best ingredients in this season, I think. Beaujolais Nouveau was released yesterday, so I bought a bottle at convenience store and am drinking it, writing this post. I don't think it's so good but, well, it's something like a festival. I'm going to go to Tokyo tomorrow to attend marriage ceremony of a friend of mine. I have to go to bed soon. Anyway, I'm really looking forward to it.